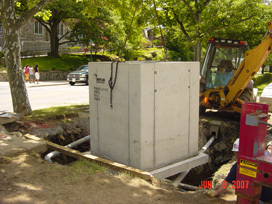 Installed new precast manholes, rerouted existing storm lines, installed new liners in 300 L.F. of storm drain pipe from 10'' to 24''. Breaking rock to make room for new manhole. 90% of the excavation was bedrock. 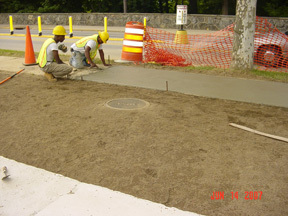 Across from the Thayer Hotel in Buffalo Soldiers Field Preparing base for the new pre-cast manhole. 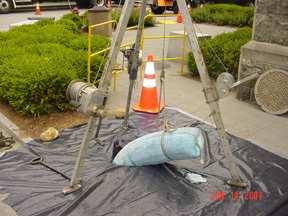 Setting in new pre-cast manhole. 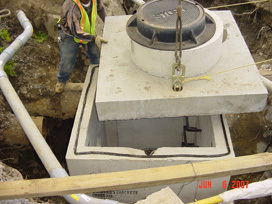 Installing lid on new manhole. Compacting and topsoil. 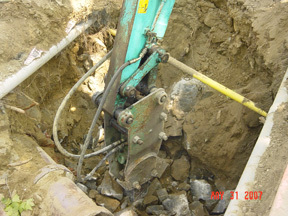 Take video of new lines running to new manhole. 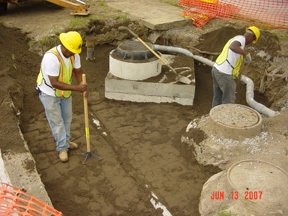 Completed manhole with new sidewalk section. 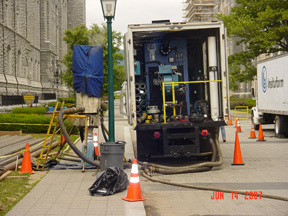 Pipe lining equipment. 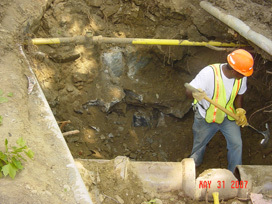 Our subcontractor was Insituform, the nations leader in pipe lining technology. 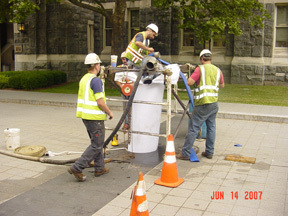 Placing lining material in 24'' storm drain pipe across from Grant Hall. Lining tube at end of run. This tube once cured, is cut off for finished product. 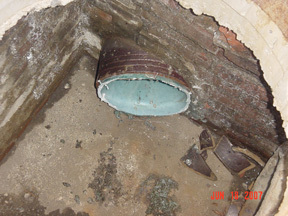 10'' storm drain in catch basin with new liner.